I am the Chief Research Scientist for Cognadev, a UK and South African-based consultancy and test publisher specializing in the dynamic assessment of psychological attributes contributing to cognitive styles, learning styles, cognitive processing, cognitive potential, motivation, goals, interests, and values. Some Cognadev assessments are unique in that they form attribute assessments from computer-mediated behavioural observations while an individual completes several kinds of unusual tasks. Instead of self-reports of preferred cognitive styles and processing capabilities, these assessments work with actual performance. Others like the Values Orientations and Motivation Profile are self-report, but far removed from the "I like going to parties" format of the typical non-cognitive questionnaire. Furthermore, their attribute-interpretation is in terms of integral psychology and psychodynamics rather than lists of discrete, static, 'trait descriptors'. Dealing with scoring, establishing reliability and validity, and constructing evidence-bases for these assessments presents a unique challenge across several fronts, spanning measurement theory through computational and visualization algorithms. I received my Ph.D from the University of Exeter, UK; the late Paul Kline was my supervisor. The topic area was personality assessment and psychometrics. I was a research scientist and eventually co-director of the Biosignal Lab at the University of London’s Institute of Psychiatry for 14 years (working with Hans and Sybil Eysenck), Chief Scientist at two of the UK’s High Security Forensic Psychiatric hospitals, Chief Psychologist at Mariner7 (Carter Holt Harvey plc, NZ), Chief Research Scientist at Hogan Assessment Systems Inc (US), and adjunct Professor of Psychometrics and Performance Assessment within the University of Auckland Business School, NZ. 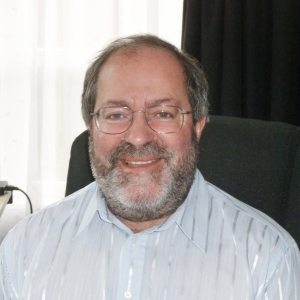 In addition to my current position as Chief Research Scientist with Cognadev Ltd., UK and South Africa, I'm Honorary Professor of Psychology at the University of Auckland (NZ) and MD of my own personal consulting company, Advanced Projects R&D Ltd. (NZ). My fields of interest span measurement theory, evidence-base construction and evaluation, computational simulation-based causal modeling of phenomena, and non-quantitative computer-intensive analysis methodologies. Most of my work these days is constructing or evaluating data as evidence for phenomena, and the claims made by others regarding the utility or otherwise of their interventions in the workplace. Introducing a new data analysis technique that addresses long standing criticisms of the current standard statistics. Observation Oriented Modelling (OOM) presents the mathematics and techniques underlying the new method, discussing causality, modelling, and logical hypothesis testing. 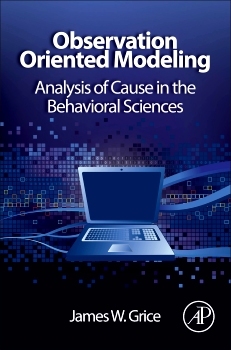 Examples of how to approach and interpret data using OOM are presented throughout the book, including analysis of several classic studies in psychology. These analyses are conducted using comprehensive software for the Windows operating system that has been written to accompany the book. The software can now be downloaded for free from the OOM website (just click on the book image to go to the OOM website where book purchase information, videos, presentations, and many details about OOM are provided). The software has a user-friendly interface, similar to SPSS and SAS , which are the two most commonly used software analysis packages, and the analysis options are flexible enough to replace numerous traditional techniques such as t-tests, ANOVA, correlation, multiple regression, mediation analysis, chi-square tests, factor analysis, and inter-rater reliability. James W. Grice is professor of psychology at Oklahoma State University in Stillwater, Oklahoma. Click the button if you would like to be notified when new information, software, articles etc. are uploaded to my website.